Berkeley Court occupies a most prominent and central position on the south side of Gordon Road at the junction with Longfield Road on which Ealing Civic Centre is situated. It is exceptionally well located for multiple shopping facilities in the Town Centre, The Arcadia and The Broadway. Only five minutes walking distance over Haven Green to Ealing Broadway Station which provides quick access into the West End, The City and Central London via the Central, District and First Great Western lines. Frequent services to Paddington (10 minutes) and Heathrow (20 minutes). Ealing Broadway Station is scheduled to be redesigned to accommodate the Crossrail link from Essex/Kent, through Central London and Paddington to Heathrow and Maidenhead. Berkeley was constructed in 1968 by Lancasters (Mayfield) Limited. Berkeley Court consists of a single building constructed over five floors with fourflats on each floor accessed through an imposing spacious entrance hall. 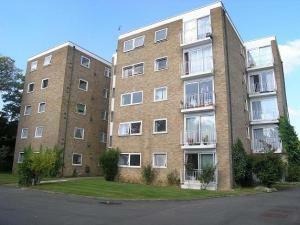 The apartments benefit from carpeted entrance hall and landings, an entry phone security system and a passenger lift. Communal gardens lie to the front and side of the building and all flats have either a garage or a car parking space. Each flat was sold on a lease for a term of 125 years from 29th September 1968. The freehold interest was subsequently acquired by the residents and a company, "Berkeley Court Propeties (Ealing) Limited" as set up by the residents to hold the freehold and manage the premises. Each lessee has a share in the management company.